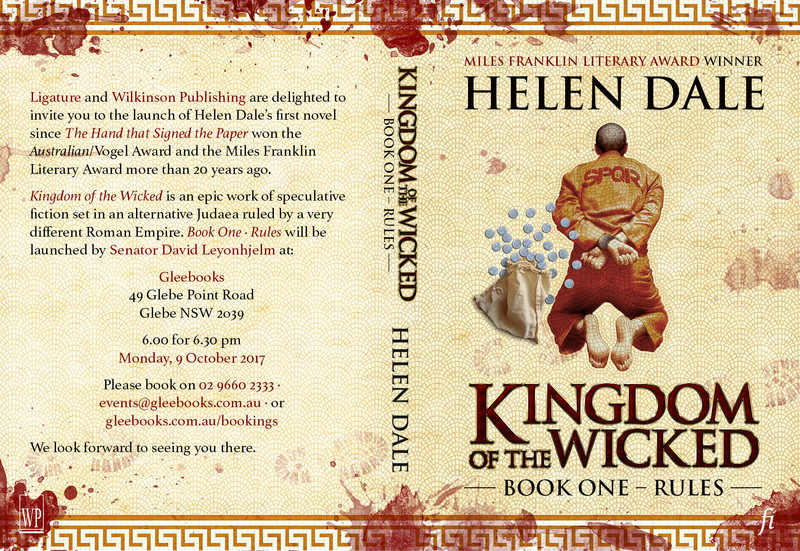 Helen Dale’s Kingdom of the Wicked · Book One · Rules will be launched at 6:00 for 6:30pm on Monday 9 October 2017 at the wonderful Gleebooks, 49 Glebe Point Road, Glebe in Sydney. This is the first book that we’ve edited and published for the first time, though we’ve built on the work of some other fine editors and had help from Wilkinson Publishing to get the book into paperback and into bookshops. 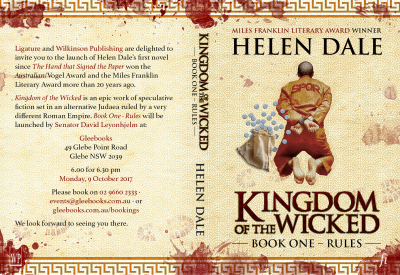 Helen’s old boss Senator David Leyonhjelm will be doing the honours and we’d love you to come. You can book here.